Back in January, the Huawei Ascend P1 was announced during CES alongside its slimmer counterpart, the 6.7-millimeter thin Huawei Ascend P1 S. But while the latter has yet to be made available for purchase, the former has just been introduced to its homeland market. 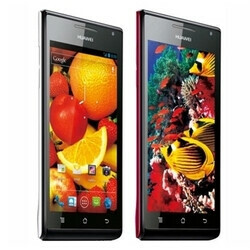 Starting today, the Huawei Ascend P1 S can be bought in China for 2,999 yuan, which is roughly $475. In addition, the manufacturer announced that the P1 will be released in other markets, including Hong Kong, Taiwan, and Australia by May of this year. Latin America and Europe are to follow suit no later than June. In case you need a refresher, the Huawei Ascend P1 is about 7.7 millimeters thick, which makes it one of the slimmest smartphones made to date. It comes with a 1.5GHz dual-core processor, a 4.3-inch Super AMOLED display with qHD resolution, and an 8-megapixel camera with a backside-illuminated sensor. In terms of software, Android 4.0 Ice Cream Sandwich comes installed out of the box. Sadly, we have no word as to whether the Huawei Ascend P1 will ever come to the U.S. market, but we will be keeping our fingers crossed. Im pretty sure the P1 is coming to the U.S.